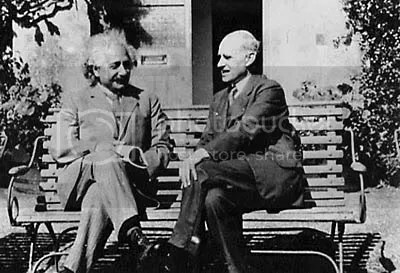 BBC’s Einstein and Eddington aired last night. I quite enjoyed it! I’m sure they used a fair amount of artistic licence on the actual story, but it was certainly a good watch. Quite well written, too, with a couple of poigniant notes about what science should actually be about. There’s a little humour in there especially for academics too — “What are his [Einstein’s] references?”. Being as the lead actors were David Tennant (Doctor Who) and Andy Serkis (Smeagol), they were fairly restrained in their roles as Eddington and Einstein respectively. I could attempt to wax lyrical on it for a while, but I’m not really much of a film critic. All I’ll say is — if you’re interested in the history of science, you should give it a watch. In fact, what the hell, you should anyway!